This entry was posted in Race Results on October 12, 2009 by WSG. What a great day in the Pennsylvania woods! Tom Jennings put on a triple header of trail races at the Oil Creek State Park, 50k, 50 miler and a 100 miler. This was a first year event but you would have never known by the great aid stations, course markings and overall organization of the event. The trail was a fast technical runnable course, but you had to be careful with those little up and downs (17,833 vertical), they wore you out as the day went on. This entry was posted in Speedgoat Updates on October 4, 2009 by WSG. No tired legs for Karl Meltzer as he won the Grindestone 100 just three weeks after the grueling Wasatch. Karl finished in a time of 18:46:26, does he ever get tired? Now it’s time for Karl to get back on the trails for a 5 day tour of Moab starting October 8th..
Now that I have completed my 100th Ultra, I am ready to share! Come join us for a magical week of running in one of my favorite locations, Moab, Utah! We will have a great time running, playing and experiencing the beauty of Moab and the surrounding area. Each day we will run a new and incredible trail and then enjoy the sites and fun around Red Rock country. 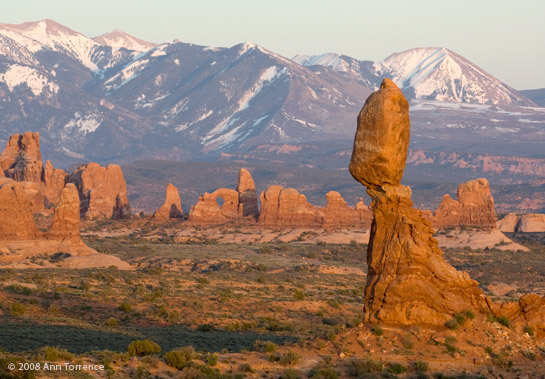 Come see why Moab is one of my most cherished running areas on Planet Earth. If you need a last minute excursion, make your plans today to join us on my personal favorite trails that will simply blow your mind! Guaranteed to exhaust and exhilarate you in every way. The trip is all inclusive: You get to Salt Lake City International airport on the 8th and we cover the rest for you. We pick you up at the airport and provide you with; Transportation, Lodging, Food, entertainment and excellent Coaching! Just bring your running gear and you will be ready to rock and roll! Belly laughs included at no extra charge. We are offering a special deal for our first trip. Tell us what you want and we’ll create an adventure! Are you ready to create amazing stories to share with your family, friends and co-workers?